Ten things to know about competitiveness: firstly, it is not optional. The most competitive economy. The US leads, but can it continue to? Emotional AI and digitizing Africa. Meet the new Young Global Leaders. The $80 trillion world economy in a single chart. How many productive years will you have? It may depend on your country. 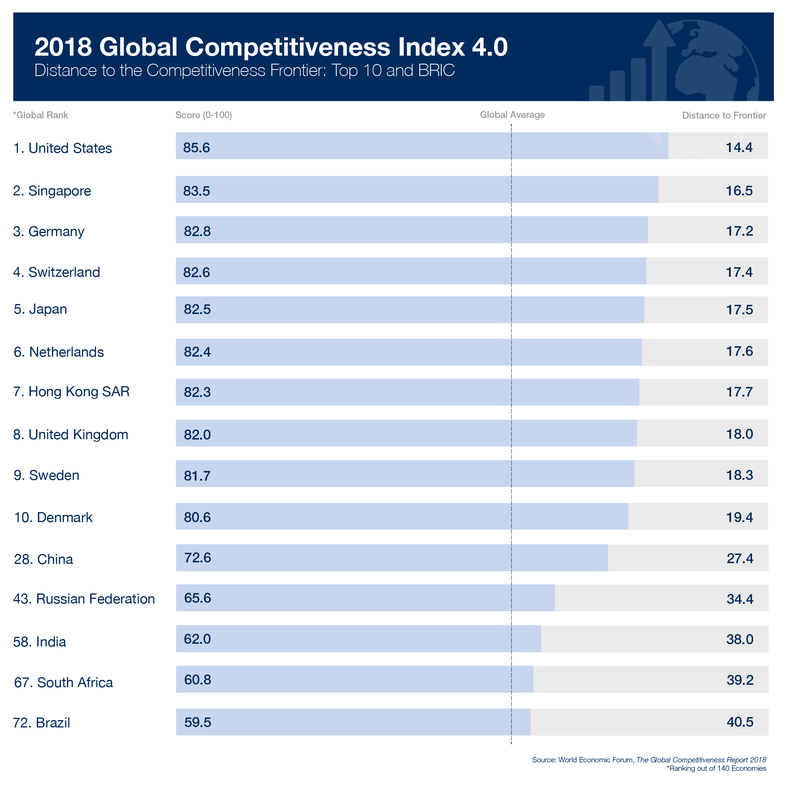 These are the world’s most competitive economies. The top ten. Is AI a threat to human rights? The impact on individual autonomy. Military leadership. Some lessons for civilian leadership. How to crack the coldest of cold cases. A family history website. Strategy in a VUCA world. It needs adaptation, exploitation and action. Anonymity has ended. If your cousins are in a DNA database, you probably are too.